SUSSEX COUNTY – This past weekend, the Sussex County Arts and Heritage Council honored Sussex County historic sites with a compendium of stops on the organization’s website, of places to visit throughout the county, and special happenings that took place over the weekend. The fun is not over yet for the season – it is only beginning. This past weekend, from the northernmost point of the county, to its furthest south, and everywhere in between, there were places to visit, and unique opportunities for amusement and enrichment. Though the special events at many of these venues may have concluded for the weekend, be sure to seek out these places for their ongoing activities and more upcoming happenings. Click here for more information. And, in some cases, some of the events advertised, did not happen yet. Although the monument is closed this season after this weekend at High Point State Park, there are some naturalist programs worth checking out for the younger set. Click here for more information. Of course, the park is open for other activities including hiking, with more than 50 miles of trails. And, once the snow falls, cross country skiers can be in their glory. Located within High Point State Park, Lusscroft Farm celebrated pumpkin picking and painting this past weekend. Check out their website for coming events, including next weekend, Sunday, Oct. 20, for the Northwest NJ Junior Equine Horse Show – Costume Class. Come in costume, and celebrate with pumpkins and cider. Call (973) 222-9651, for more information. Or, into photography? Consider entering into the photography contest, with a deadline of Nov. 2. More information is here at the farm’s website. The DAR Elias Van Bunschooten Museum in Wantage was open this past weekend, and will be open through October 15. However, were you unable to make it there this weekend for the museum? If you have a young one, there’s a great excuse to return – the Not So Scary Halloween Party on Oct. 20 beginning at 1 p.m. (rain date Oct. 27). Pumpkins, hay maze, activities, games, prizes, a haunted barn, costume contest, food, and more. The cost is $5 per child, advanced registration, contact: (973) 948-5299, or melaniej@ptd.net. The Foster-Armstrong House in Montague, which was advertised on the map, unfortunately, is victim to the government shutdown, as part of the National Parks Service, and is closed until further notice. Peters Valley is also located in the Delaware Water Gap National Recreation Area, and is impacted by the shutdown, and is temporarily closed to the public as well. Rosenkrans Museum – Van Campen Inn is another area impacted by the shutdown, and closed until further notice. Vernon Township Historical Society is open the first Sunday of each month, however, the group has an upcoming fundraising event , the second annual dinner and auction, on Nov. 9, worth mention, at St. Francis DeSales Church, beginning at 6 p.m., where there will be an auction and tricky tray items. The meal is a beefsteak catered by the amazing Brownstone, all-you-can-eat –- from which no attendee ever walks away famished. Click the group’s website for more details. Space Farms Zoo & Museum is open through November 3. And next weekend, the Zoo offers Jr. Zookeeper II, where kids can help Zookeeper Lori take care of the animals, and earn a special certificate for doing so. And of course, while there, enjoy some Extreme Pizza – or order online for takeout! Franklin Mineral Museum is open through November as well, so only a few weeks left – and then it is closed through March. Click here for the museum’s website. Sterling Hill Mining Museum is another place that we “dig” here at NJ Inside Scene. The museum is open, weather permitting, as winter nears. There are a few opportunities to grab some minerals, one next Saturday, Oct. 20 for museum members only, which is a nighttime adventure – and another scheduled on Oct. 27. Click here for details. The Friar Mountain Model Railroad Museum is open on the weekends on Fridays, Saturdays, and Sundays. This month offers the Halloween Ghost Train. See the museum’s website for more details. The Sussex County Farmers Market at the Fairgrounds is tapering down, with its final weekend on Oct. 26. Stop by before that for their rich array of produce, cheeses, beef, pork, eggs, fiber products, baked goods, and more. View the market’s website for full details. Another farmers market is in full swing until Oct. 27, and this is at Lafayette Village. Produce, soap, pickles, flowers, baked goods, coffee, jams, jellies and more, are some of the treasures that can be found. Travel further south into Sparta for the Sparta Farmers Market, with its closing day coming up on Oct. 26. Before that happens, there are two more weeks of great events, with live music and cooking demonstrations coming up. See the organization’s website for more details. Although many of the farmers markets are winding down for the season, markets are livening up in Newton with the third annual Northwest New Jersey Winter Farmers’ Market, at the Springboard Shoppes in Newton, from 10 a.m. to 1 p.m., every Saturday through April. Click here for more information. Venture through Downtown Newton, and nearby the farmers’ market is also the Sussex County Arts and Heritage Council Gallery. Currently, the Havens Exhibit is in full swing, through November 2. The theme’s focus is on safety and refuge. The gallery is open Tuesdays through Fridays, 9 a.m. through 3 p.m., and then Saturdays, 11 a.m. through 3 p.m. Click here for complete details. The Sussex County Historical Society is offering the upcoming Graveyards, Ghosts and Gallows Program on Oct. 26 – learn more about what gravestones from Victorian times meant. There is a fee for this interesting program, $10 per family, $5 per person, society members free. Contact (973) 383-6010 for more information. Click here for the group’s website. Leave Newton and head south on 206 to Andover Borough. On Oct. 20, the Andover Borough Historical Museum will be open from 1 p.m. to 4 p.m., for a special engagement. And the museum is open every third Sunday each month. Traveling further south along Route 206, and heading towards Waterloo Village, “Shadows of the Past,” on either Oct. 17 or 24, from 7 p.m. to 9 p.m., hear stories of old, about the Historic Village. The cost is $8 per person, and pre-registration is required. Call (973) 786-6445. In Hopatcong State Park is the Lake Hopatcong Historical Museum, open each Sunday from noon until 4 p.m, Oct. 20 through Dec. 15. Come see exhibits of many aspects of Lake Hopatcong, from Lotta Crabtree to Bertrand Island to the Morris Canal and more. Click here for the museum’s website. Some of the museums open this past weekend, are only open by appointment and special event times only, such as the Stillwater Historical Museum, Col. John Coursen Homestead, Roseville Schoolhouse Museum, Franklin Historical Heritage Museum, and Old Schoolhouse & Fire House Museum. There are some other museums not on the tour list this weekend, that are mentioned on the county’s website. All of them are featured here. Something else recommended are New Jersey vineyards – in Sussex County we have Westfall Winery, Ventimiglia Vineyard, and Cava Winery & Vineyard. Ventimiglia is open tomorrow until 5 p.m., for the holiday. Cava’s tasting room is open Saturdays and Sundays noon until 6 p.m. There are some upcoming special events at Cava Winery – “Pour 4 Paws” on Oct. 18 and Oct. 26, Wine & Women & Song, which is an event celebrating women (men are invited to attend). For a full list of local wineries, including those nearby Sussex County, click here. Of course, apple picking, pumpkin picking and other activities are in full swing. Click here for a full list of farms and their various types of offerings and activities. 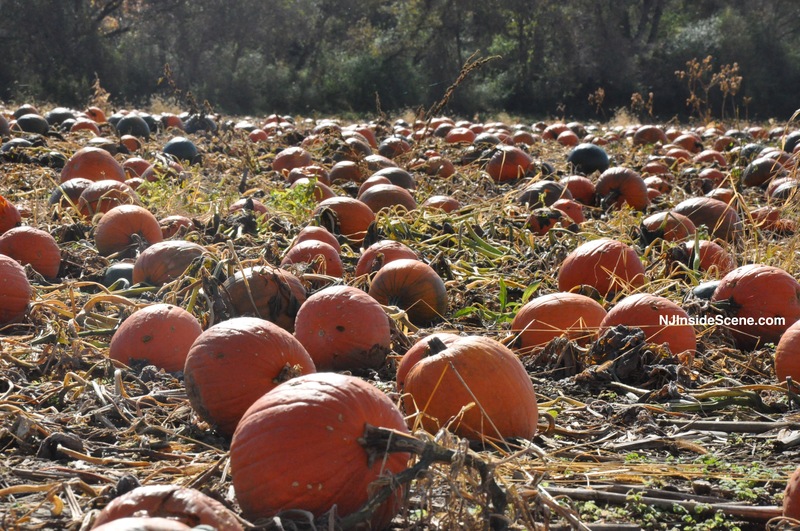 Enjoy corn mazes, cider and apple cider donuts, and other special treats and surprises. And what else did we enjoy here this weekend at NJ Inside Scene? In addition to the fall foliage, and soccer games, we stopped by to Dale’s Market, in their newest welcoming location in Andover Township. We highly recommend a stop to this friendly local market, which has two other locations in Culver Lake and Blairstown. We like to shop local, and you’ll find Dale’s, in our opinion, inviting. They have a wonderful offering of produce, meats, and other groceries, and have many daily specials, and some specials during their grand opening celebration, which runs through this month. Their grand opening celebration has continued, and this weekend there was live music, games for the kids, pumpkin painting, and more. And who could resist a stop to Dale’s Ice Cream Shack? As can be seen by the video here, your guide here could not. Enjoy Sussex County and all it has to offer to the fullest. We will continue to highlight special happenings, and list them on our website, and events calendar, so you can enjoy Sussex County, and its neighboring areas, to the fullest. Like what you read here? 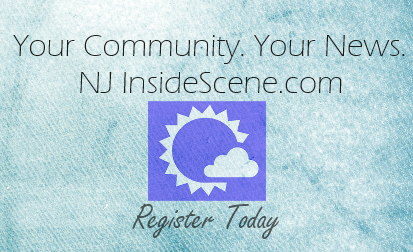 Why not “like” NJInsideScene.com on Facebook? Click here to find us!